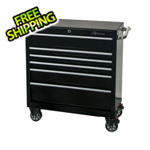 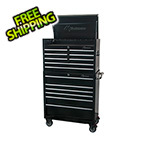 The 30" x 15" Steel Triangle Toolbox and 30" 5-Drawer Utility Cart Combo is perfect for garages or workshops. 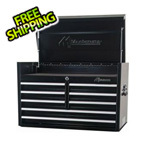 The Triangle allows you to organize more than 141 tools and see them all at a glance with the multi-tier design. 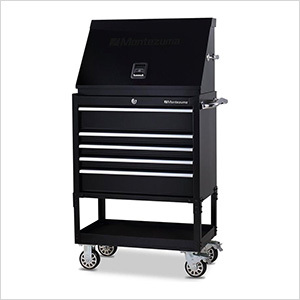 On the utility cart, the exclusive Raise and Release latching system keeps drawers tightly closed, while the tubular lock keeps your valuables protected.